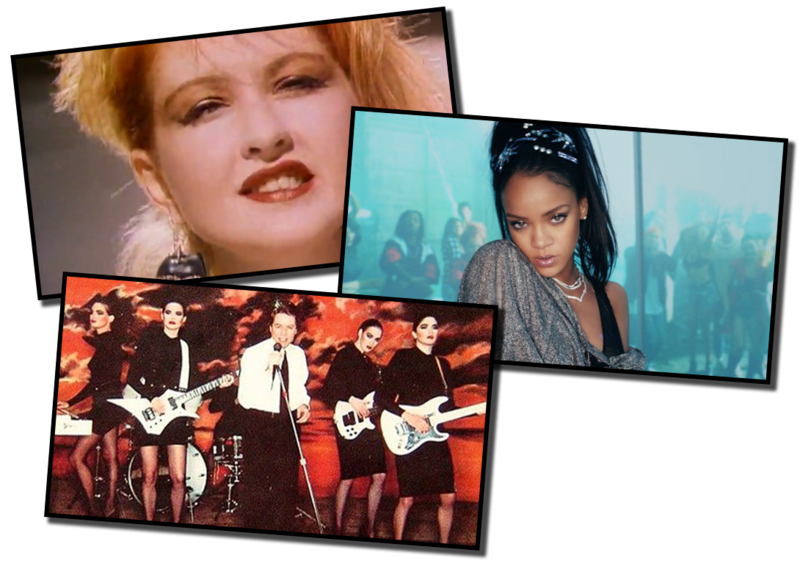 Our jukebox music list is updated every month with new video releases. We use Computer based Digital Video Jukeboxes in Powder Coated alloy cabinets, with touch screens. They come loaded with 4200 songs per machine with an easy to use interface . Video clips are displayed on screen to add to the party atmosphere, and you can search for your favourite songs in seconds. Music range includes Classics, Party Music & Top 40 which is updated every month. As you select each song it is added to a play list that is displayed on the screen for ease of use. The jukebox then automatically plays through the chosen titles without gaps between songs. If no songs have been selected, the jukebox will play randomly. 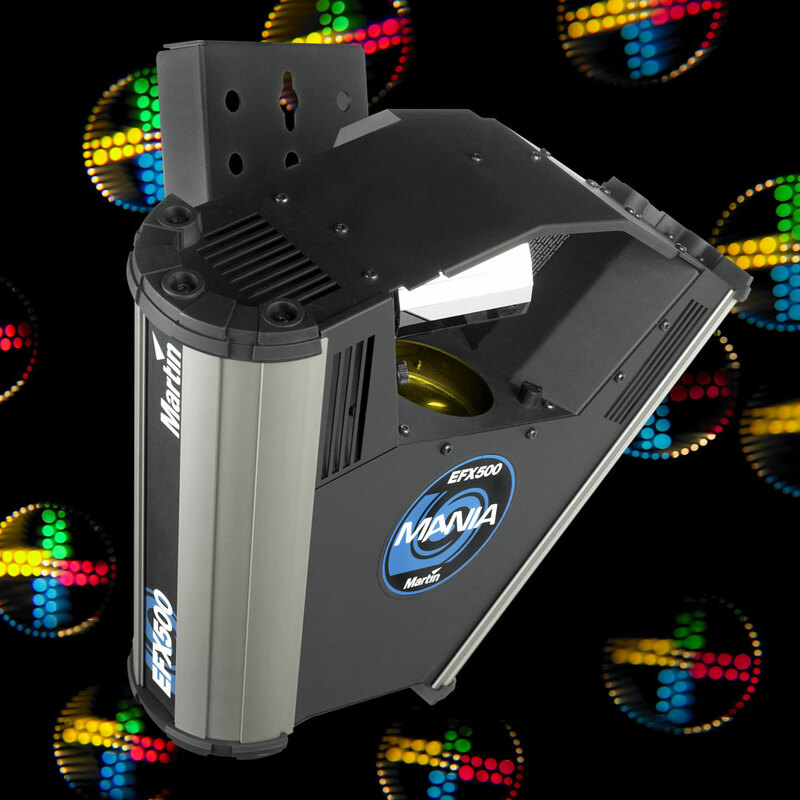 Our Jukeboxes come with two of the biggest speakers in the business or if your function is of a smaller size we will provide smaller speakers to make your party a raging success. A remote control is provided for total control at the press of a button. You have the ability to change volume, cancel songs, pause for speeches and clear play lists. 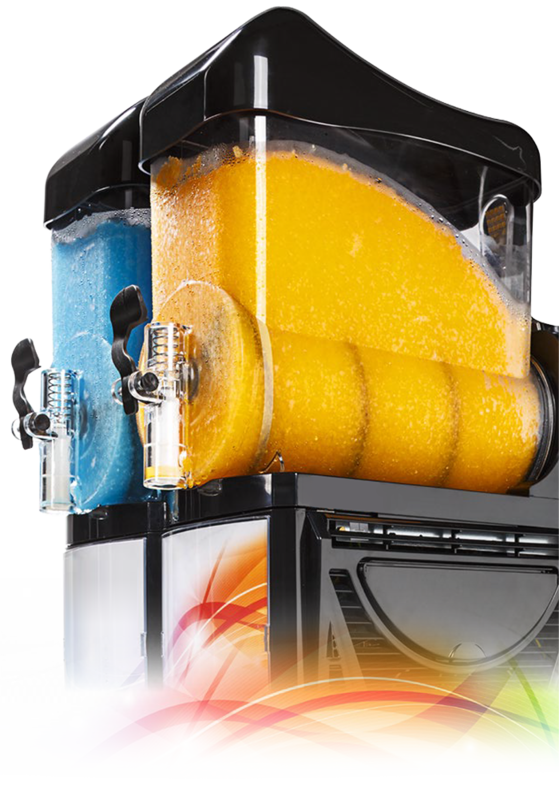 very quick and reliable, great for daiquiris at adults parties or slush or slurpies at kids parties. To Book Phone 0414 345 617 or complete a quote request. If you would like more information, telephone 0414 345 617 between 9.00am and 7.00pm, seven days a week including Public Holidays. Delivery is free to the Sunshine Coast & Brisbane (within a 25 km radius). Other areas by arrangement. We operate out of offices in Brisbane and the Sunshine Coast. A delivery fee may be applicable depending on location – price on application. At Unique DJs, we provide professional sound equipment and lighting entertainment for Parties, Weddings, Corporate functions, Clubs & Hotels. 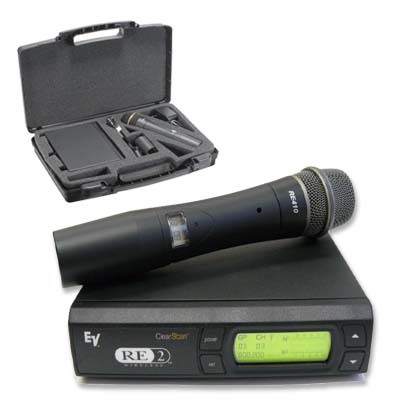 We believe our gear is the best in the business and we are constantly updating with the latest technology. Another important aspect is that we always have spare equipment on hand as a backup. Guarantees and refunds are of little consolation, should an equipment failure bring your function to a sudden end. 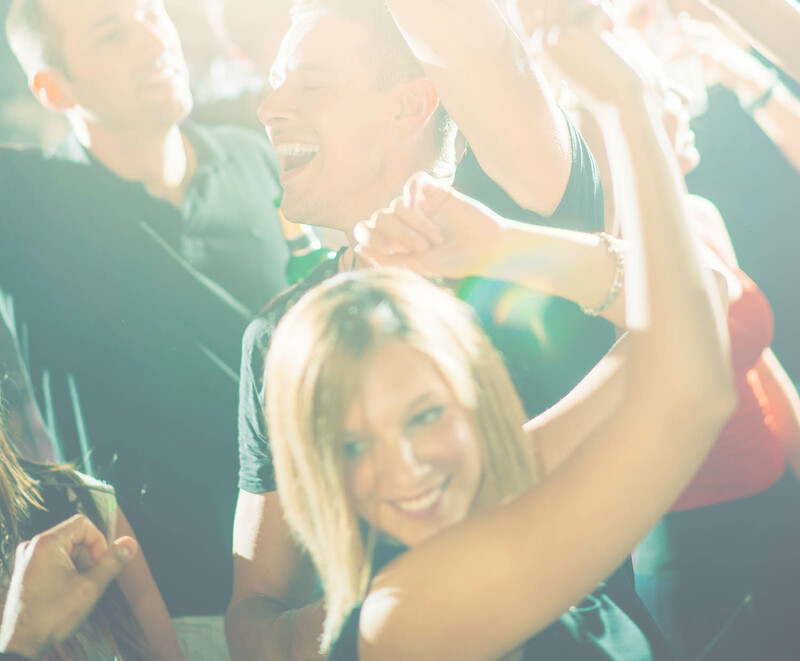 Do you want to see your favourite artists perform at your party? Well, now you can, let them make a big appearance on the big screen. Or for something that extra special why not have your very own slideshow, make your event unique & memorable by showing off your favourite photos to family and friends. Let us bring those memories to life on the big screen, after all they are the most important people in your life. This is your opportunity to make your party different from any other, leaving a lasting memory for friends to rave about. Unique Video DJs has the ultimate in entertainment for every occasion and event. Unique Video DJs is one of the few Queensland Mobile DJs that can offer a digital video projection service, on a mobile basis. This gives you the opportunity to have all your favourite music videos projected on to the big screen. All Video DJ packages consist of our full sound system and complete lighting. We also have a generator service available. Another important aspect is that we always have spare equipment on hand as a backup. Guarantees and refunds are of little consolation, should an equipment failure bring your function to a sudden end. Need a Video Projection System? Hire a professional multimedia big screen projector from Unique Djs and have music videos, personal photos, themed images or movie footage shown during the course of your celebration. Whether your party is being held in your home, an office, a marquee or commercial venue, this is a great way of bringing something extra to your celebration. Great for weddings, birthdays, anniversaries, themed parties, Movie Nights and whatever else you can think of. Speeches aren’t the same without the aid of a big screen to project the shameful or less than flattering experiences of your friend’s lives. Bring memories to life. It isn’t the same without having a montage of photos of the couples’ lives projected on the wall. Everyone wants to see how the relationship got to the stage of the two tying the knot so why not show them? It’s a given. Beer and sport. Why not have the pleasure of hosting the big days at your house with your mates. After all, it’s better than drinking light or Mid strength beer at the ground! If you have some photos of the staff of now and from the past, some photos of your work place, company highlights and the work your company is involved in, this can be put together into a great presentation. These are just some ideas. Let us know what you are celebrating and we will help you get what is needed to impress your guests. Enhance Your Wedding uplightingUplighting is the art of painting with light to create a truly magical background for the most beautiful and well planned days of your lives together as a couple. 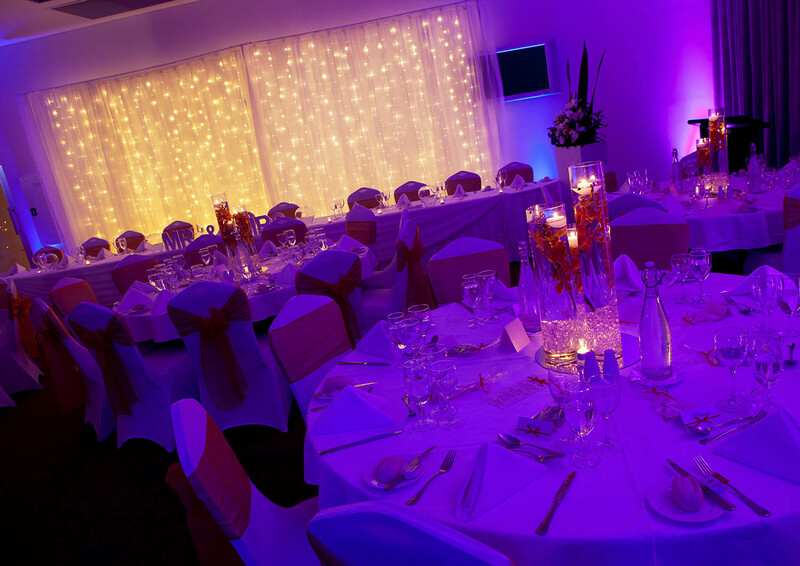 Uplighting brings your wedding to life, dresses, your flowers and the room will all work together to create an inviting entertaining space. 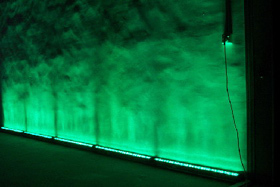 Lights are placed on the ground facing the wall or the element of the room you would like to illuminate. Depending on the effect whether you want a focused beam of light, a diffuse spread of color, “a touch of blue” or lighting entire walls, one of our lighting experts will pick the appropriate lights for the job. Most clients want to add color to their room, or recreate an effect they’ve seen in a magazine but aren’t sure where to start or how to go about it. If you can provide us pictures of the effect that you are looking for we can help put together a package to meet your needs and brainstorm all the possibilities that fit within your vision and price range. 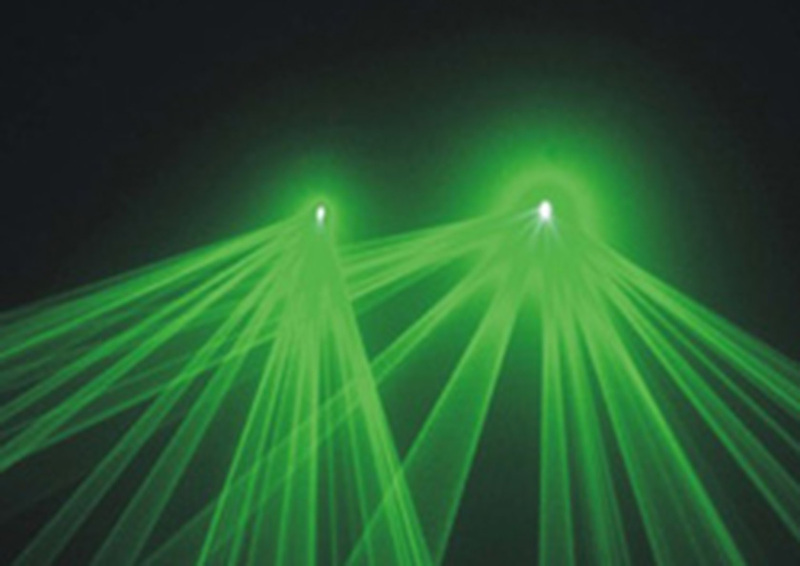 LED’s or Light Emitting Diodes are the latest in event lighting. They emit virtually no heat, have very saturated and deep colors and are easy to customize and control the way the light looks. They can recreate just about any color that a TV can. 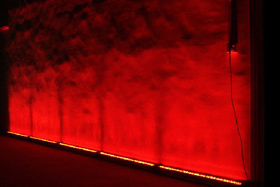 These lights are made up of red, green and blue individual LEDs that when combined in different intensities blend together to create just about any color. 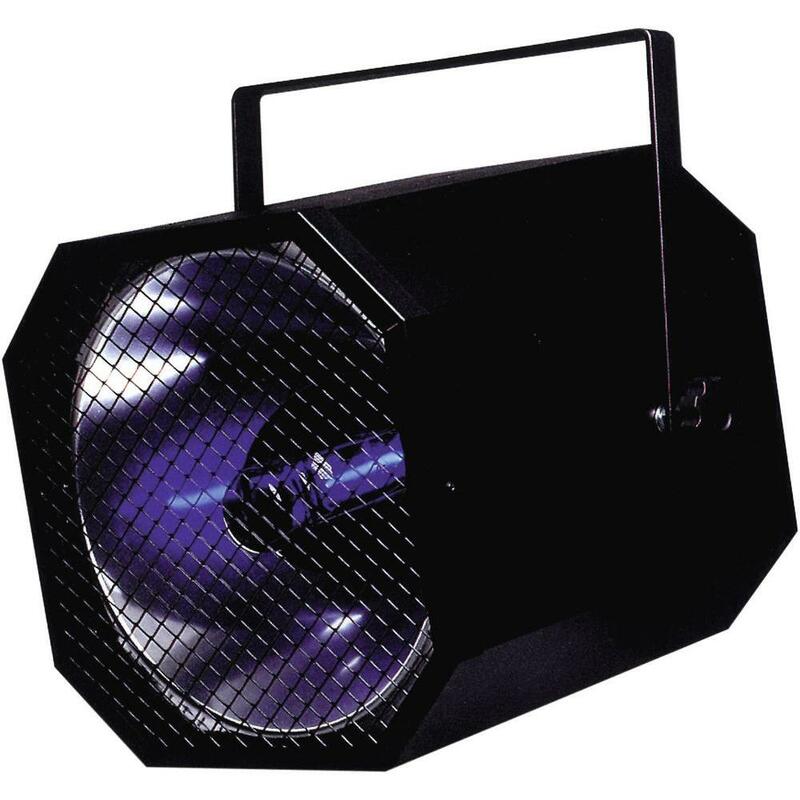 These lights are also very lightweight enabling them to be used on stands, on the floor just about anywhere. Just understanding what is possible with uplighting is helpful. Here are some basic effects that are achievable with uplighting. The most popular effect is to provide washes of color or colors around the room. They can either be set to a static color or fade through colors at varying speeds. You may want a static color as guests arrive and through dinner but the lights to slowly fade through the dancing portion of the evening. 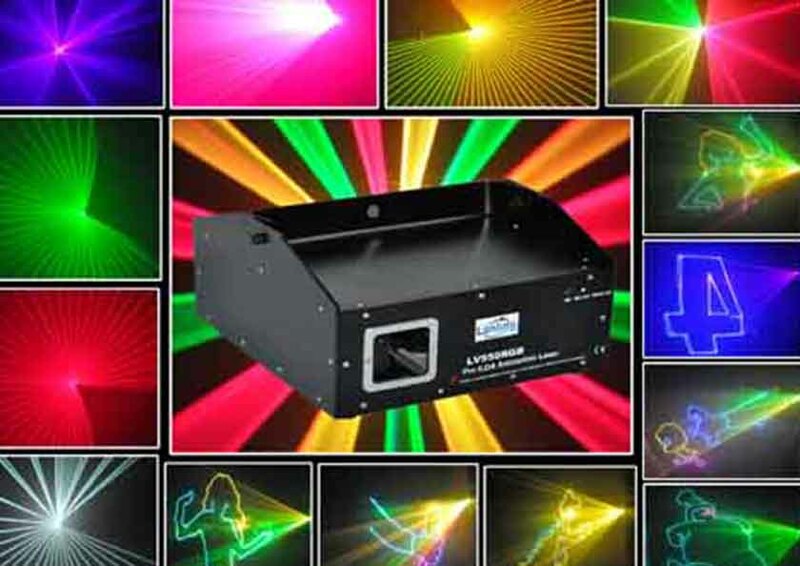 Laser light show – Create a groovy night club atmosphere or add a cool laser extravaganza. Fog machines and disco balls are only the tip of the iceberg. 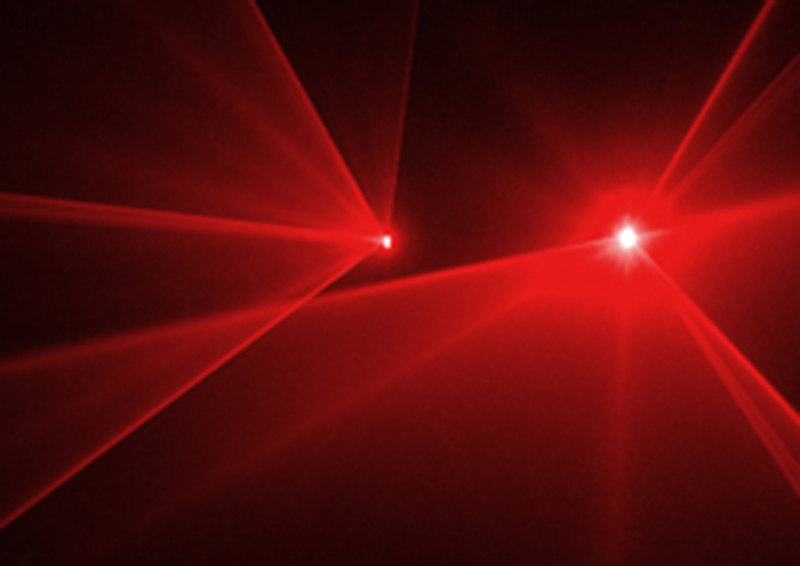 Color red & green lasers – Add more excitement , movement and colour to your function. Unique DJs uses only state of the art sound and lighting, and all equipment is commercial grade. CDs are used as our playback medium, to ensure your dance floor doesn’t stop. Our Pioneer CD players have the latest in anti-skip protection, and have the ability to beat mix. 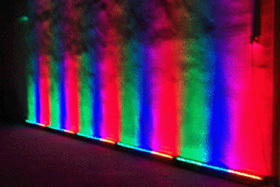 Our Martin lighting effects help create an exciting dance environment for guests without being overbearing. Our lighting is compact and non-obtrusive and the beams are positioned for maximum effect , creating a special atmosphere.